How Can Psd To WordPress Conversion Bring Kudos To Your Business? In the 13+ years, WordPress has been in existence, it has risen to become the most popular platform for the blog and corporate website building. Previously thought of as only a blogging platform, many multinational companies now have WordPress as the CMS for their websites. There are many reasons for this, including full and easy customize-ability, security and support among many others. PSD files outline possible site layouts, from where sites are built using many coding languages. This article outlines some advantages of PSD to WordPress conversion. In addition, we explain best practices when building your Photoshop layout to ensure fast, easy and accurate conversion of your PSD file into a working site in WordPress or any other language. Now the matter of fact is PSD designs are very versatile and their popularity increases as we speak. The designs of PSD are highly beneficial as they can easily be converted into any web development platform or Content Management System. That is the reason the developers always opt for PSD to WordPress conversion. The overall reason being it helps to make the website responsive, dynamic, appealing, search engine and user-friendly. As a long-term profit, PSD to WordPress conversion is the best approach that a developer ever had. WordPress is accessible through your browser, which means that you can access the backend of your website anywhere you are and at any time, provided there’s a working internet connection. It is also not limited by your computer’s operating system. Creating a WordPress website increases the possibilities of your PSD file. Being an easy-to-use platform, you can easily develop your site and even implement a few of your own customizations to make it suited just right for your business. Adding new elements after the initial creation is also just as easy. There is no single platform that is search engine optimized right off the bat. In addition to that, WordPress has very precise features you can implement to improve your search friendliness. These include simple and clean backend codes, a host of official and community-developed SEO plugins as well as options to make on-page SEO easier to do. Every page has a description, meta tag and title spaces where you can insert your desired keywords and hence connect better with your potential searchers. You can choose to use automated WordPress conversion, which is a complete system that requires little coding knowledge. You can also elect to customize using your own developer or hire development services in HTML. The ease of use makes WordPress ideal to manage your own website for minor maintenance and updating tasks. You can easily make small changes without having to turn to a web designer or developer. It comes with a clean and intuitive web interface that makes control easy for non-tech-savvy people. Since WordPress primarily began as a blogging platform, using the platform allows additional benefits such as inbuilt blogging. It is easy to integrate your blogs and add articles and other kinds of content to improve your standing with search engines. You can also use the RSS feed feature to improve outreach of articles, as well as comment management and email subscriptions. One of WordPress’s greatest advantages comes in its ability to scale easily. You can keep growing your content database without affecting website functionality. As such, as you increase lines of business or reach new markets, you can use the same website, which is great for SEO purposes as well. There are a series of steps that you need to convert PSD to WordPress. 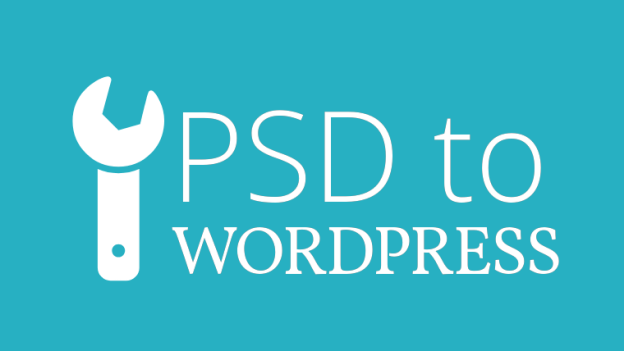 I have prepared a compact capsule just to give you an idea about how things are done in PSD to WordPress services. Let’s have a look at it. The first thing that a PSD to WordPress developer do is analyze the file and understand the complexity of the file. 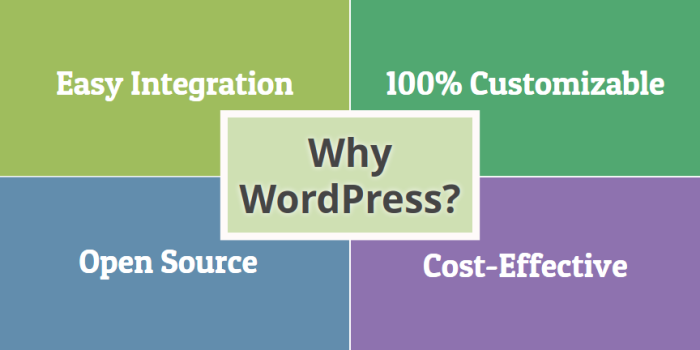 It is the planning phase and builds a foundation of the PSD to WordPress conversion. 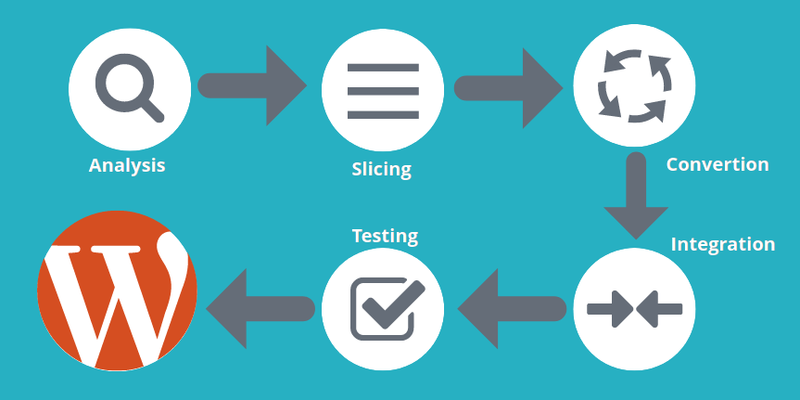 After the analysis then comes the slicing process of the images. Rudimentarily slicing is cutting and dividing the images into many files to amalgamate again later. It is generally done by Adobe Photoshop to get the pixel-perfect images. Once you are done with the analysis and the slicing part, then you convert the PSD file to HTML & CSS. You have to do that because the PSD file is not W3C validated and not compatible with cross-browsers. So, when you convert the PSD file into markup and cascading style sheets, your files become compatible with the WWW (World Wide Web). This next step is the most important step where you have to integrate the markup and cascading style sheets into WordPress file. This process includes the process of creating directories and subdirectories for the improved website performance and run it flawlessly. Now, at last, comes the testing process, where you can test everything and the evaluation of WordPress themes to check whether they are working uniformly on all browsers or not. This step is very crucial as this defines the quality of work done on the website. If any flaw remains on the website, it is solved at that instance. Getting stunning and jaw-dropping designs PSD to WordPress conversion is the best and effective solution that will equip you with a fully-functional dynamic website. I hope you do get the idea you want. Contact Us via chat and let us know what we can do for you. Till then have a good one.